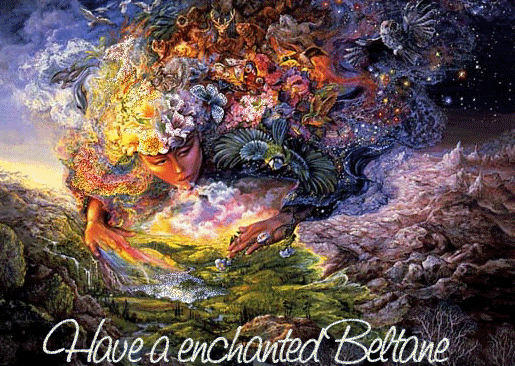 Beltane, and other May festivals have been celebrated in one form or another around the world for thousands of years. The festival is usually held on the eve of April 30th and throughout May 1st. It occurs mid-way between the Spring Equinox and the Summer Solstice and is often viewed as the real beginning of summer (with the Solstice being mid-summer). It is a festival of fertility – particularly for cattle and other domestic animals, though also generally for all forms of agriculture. In pre-Christian times, the Romans held the festival of Floralia, – Flora was the Roman goddess of spring flowers and vegetation and was often also seen as the patron of prostitutes. Her holiday ran from April 28th to May 3rd. The celbration included drinking, dancing, public games and theatrical performances. Flora has a counterpart in South America – Xochiquetzal is the Aztec goddess of fertility associated with spring, and represented not only flowers but the fruits of life and abundance. She was also the patron goddess of prostitutes and craftsmen. Artemis (Greek): The moon goddess Artemis was associated with the hunt, and was seen as a goddess of forests and hillsides. This pastoral connection made her a part of spring celebrations in later periods. Cernunnos (Celtic): Cernunnos is a horned god found in Celtic mythology. He is connected with male animals, particularly the stag in rut, and this has led him to be associated with fertility and vegetation. Depictions of Cernunnos are found in many parts of the British Isles and western Europe. He is often portrayed with a beard and wild, shaggy hair — he is, after all, the lord of the forest..
Priapus (Greek): This fairly minor rural god has one giant claim to fame — his permanently erect and enormous phallus. The son of Aphrodite by Dionysus (or possibly Zeus, depending on the source), Priapus was mostly worshiped in homes rather than in an organized cult. Despite his constant lust, most stories portray him as sexually frustrated, or even impotent. However, in agricultural areas he was still regarded as a god of fertility, and at one point he was considered a protective god, who threatened sexual violence against anyone — male or female — who transgressed the boundaries he guarded. Sheela-na-Gig (Celtic): Although the Sheela-na-Gig is technically the name applied to the carvings of women with exaggerated vulvae that have been found in Ireland and England, there’s a theory that the carvings are representative of a lost pre-Christian goddess. Typically, the Sheela-na-Gig adorns buildings in areas of Ireland that were part of the Anglo-Norman conquests in the 12th century. She is shown as a homely woman with a giant yoni, which is spread wide to accept the seed of the male. Folkloric evidence indicates that the figures are theory that the figures were part of a fertility rite, similar to “birthing stones”, which were used to bring on conception. 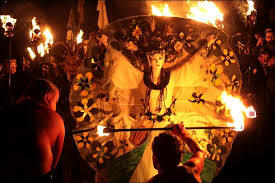 The Beltane festival is specifically mentioned in some of the earliest Irish literature and it is associated with important events in Irish mythology. It marked the beginning of summer and was when cattle were driven out to the summer pastures. Rituals were performed to protect the cattle, crops and people, and to encourage growth. Special bonfires were kindled, and their flames, smoke and ashes were deemed to have protective powers. 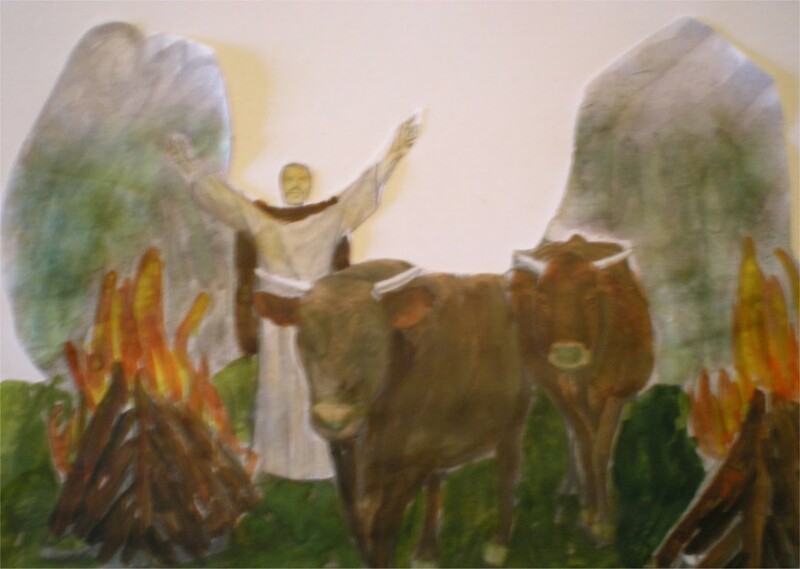 The people and their cattle would walk around the bonfire, or between two bonfires, and sometimes leap over flames or embers. All household fires would be doused and then re-lit from the Beltane bonfire. Doors, windows, byres and the cattle themselves would be decorated with yellow May flowers, perhaps because they evoked fire. In parts of Ireland, people would make a May Bush; a thorn bush decorated with flowers, ribbons and bright shells. Holy wells were also visited, while Beltane dew was thought to bring beauty and maintain youthfulness. In Christianized Europe the festivals lost their explicit pagan flavor and shifted into partly Church focused and partly secular celebrations – but the dates stayed the same. 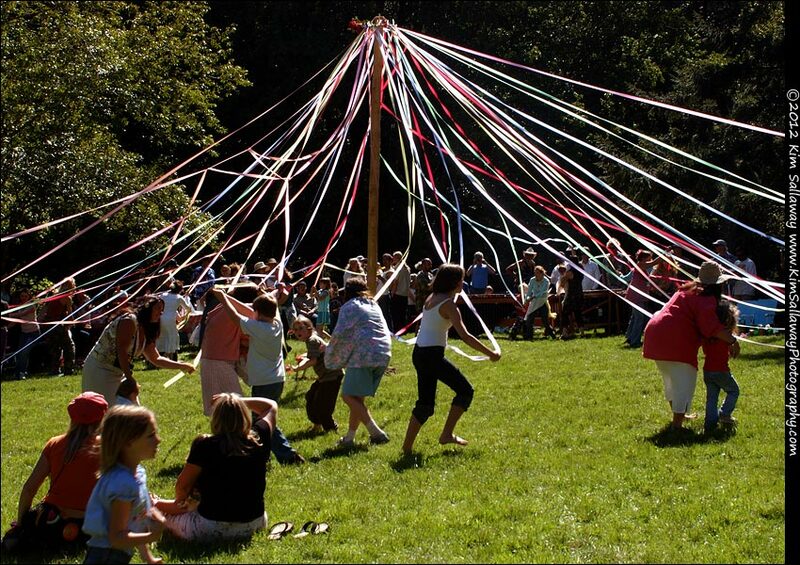 The phallic symbols of the old gods were replaced by the May Pole and the spring goddesses began to resemble Mother Mary and became the May Queen. Perhaps the most widely known celebration is the German based Walpurgisnacht, or the Eve of St. Walpurgis, which takes place on April 30th. Saint Walpurga, or Walpurgis was an 8th-century abbess said to have brought Christianity to Germany. 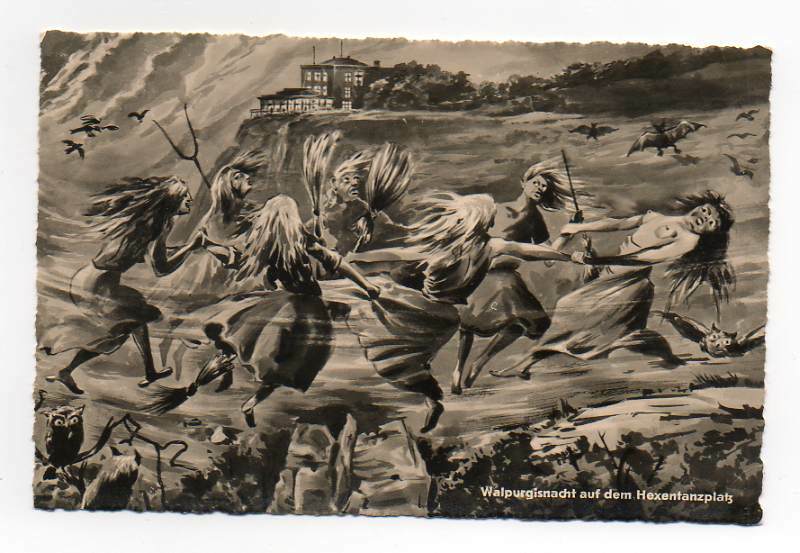 In earlier German folklore Walpurgisnacht is believed to be the night of a witches’ meeting on the Brocken, the highest peak in the Harz Mountains, a range of wooded hills in central Germany between the rivers Weser and Elbe. 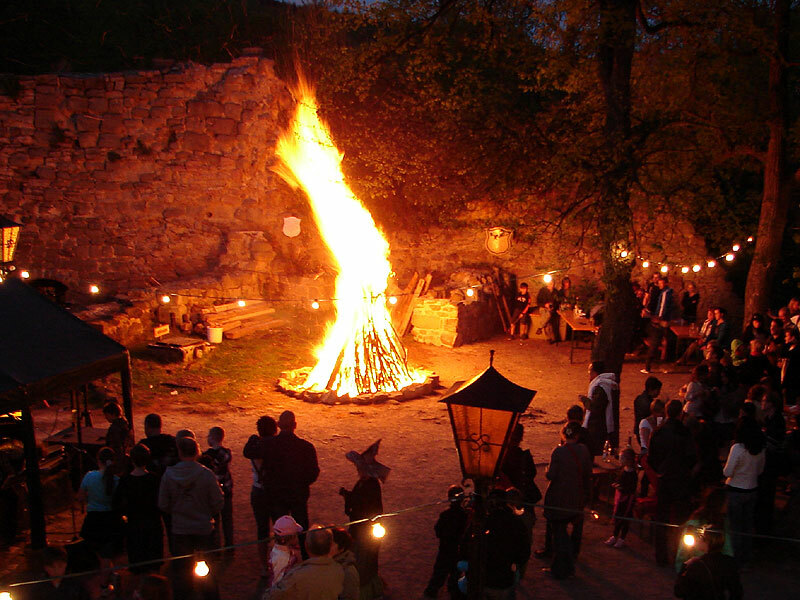 Local variants of Walpurgis Night are observed across Europe in the Czech Republic, Sweden, , Finland, Estonia and many other countries. In the United States, Walpurgisnacht is one of the major holidays celebrated within LaVeyan Satanism and is the anniversary of the founding of the Church of Satan. In the Czech Republic April 30th is pálení čarodějnic (“burning of the witches”) or čarodějnice (“the witches”), the day when winter is ceremonially brought to the end by the burning of rag and straw witches or just broomsticks on bonfires around the country. The festival offers Czechs the chance to eat, drink and be merry around a roaring fire. Walpurgis bonfires are part of a Swedish tradition dating back to the early 18th century. At Walpurgis farm animals were let out to graze and bonfires lit to scare away predators.” In Southern Sweden, an older tradition, no longer practiced, was for the younger people to collect greenery and branches from the woods at twilight. These were used to adorn the houses of the village. The expected reward for this task was to be paid in eggs. In Finland, Walpurgis day (Vappu) is one of the four biggest holidays along with Christmas Eve, New Year’s Eve, and Midsummer. Walpurgis witnesses the biggest carnival-style festival held in the streets of Finland’s towns and cities. The celebration, which begins on the evening of 30 April and continues to 1 May, typically centres on copious consumption of sima, sparkling wine and other alcoholic beverages. In Estonia, Volbriöö is celebrated throughout the night of April 30th l and into the early hours of May 1st, where it is a public holiday called “Spring Day” (Kevadpüha). Volbriöö is an important and widespread celebration. Influenced by German culture, the night originally stood for the gathering and meeting of witches. 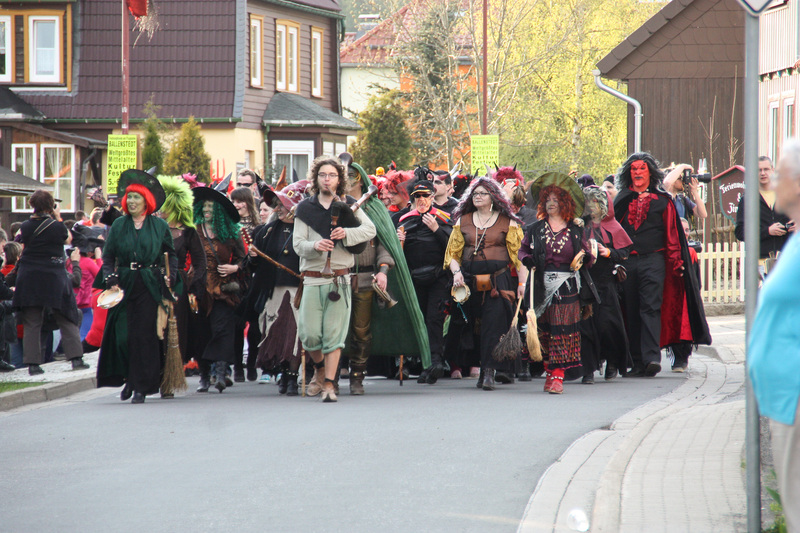 Modern people still dress up as witches to wander the streets in a carnival-like mood. On May Day, Bulgarians celebrate Irminden (or Yeremiya, Eremiya, Irima, Zamski den). The holiday is associated with snakes and lizards and rituals are made in order to protect people from them. The name of the holiday comes from the prophet Jeremiah, but its origins are most probably pagan. In Western Bulgaria people light fires, jump over them and make noises to scare snakes. Another custom is to prepare “podnici” (special clay pots made for baking bread). This day is especially observed by pregnant women so that their offspring do not catch “yeremiya” — an illness due to evil powers. The Romanians celebrate May Day as the arminden (or armindeni), the beginning of summer, symbolically tied with the protection of crops and farm animals. The name comes from Slavonic Jeremiinŭ dĭnĭ, meaning prophet Jeremiah’s day, but the celebration rites and habits of this day are pagan (possibly originating in the cult of the god Pan). 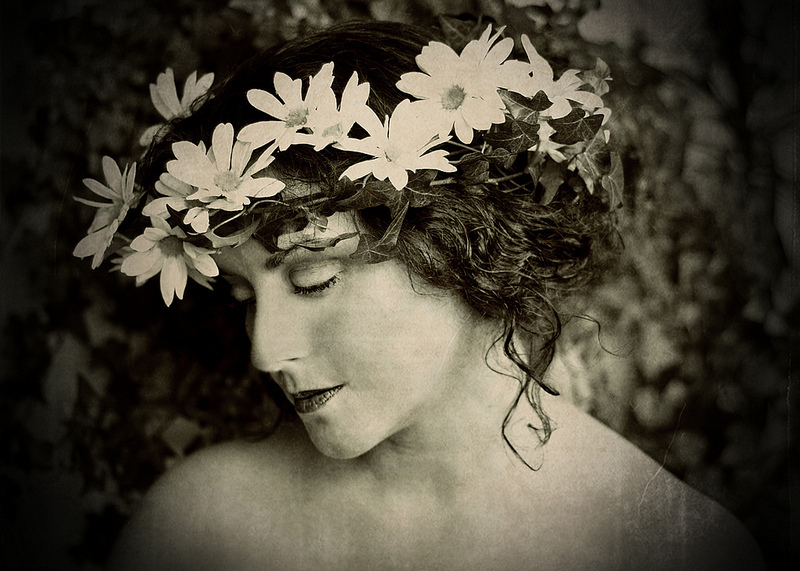 Other rites include, in some areas of the country, people washing their faces with the morning dew (for good health) and adorning the gates for good luck and abundance with green branches or with birch saplings (for the houses with maiden girls). The entries to the animals’ shelters are also adorned with green branches. All branches are left in place until the wheat harvest when they are used in the fire which will bake the first bread from the new wheat. Religiously, the festival is rooted in the search by the Byzantine Empress Saint Helena for the True Cross on which Jesus died, but the popular traditions connected to the festival certainly originate from pagan traditions brought to Spain by the Roman Empire. 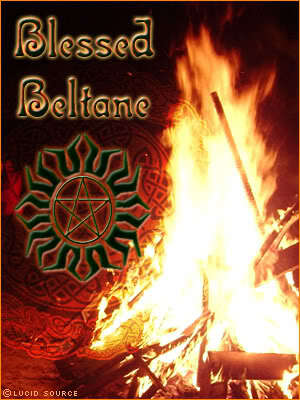 The Beltane season is a time that marks fire and fertility, and the return of new life to the earth.. In Norse traditions – and many others – this night is the time when the boundary between our world and that of the spirits is a bit shaky and much like Samhain, six months later, Beltane or Walpurgisnacht is a time to communicate with the spirit world and unite with the forces of nature in joy and harmony. Taking possession of all to me belonging. Protecting me in truth and honor. All my land and my surroundings. I ask for your blessings on this day of fire. 1 Pings/Trackbacks for "Beltane – May Day"